Growing your own fruit and vegetables will be on show at the New Mills Allotment and Garden Society Open Day. 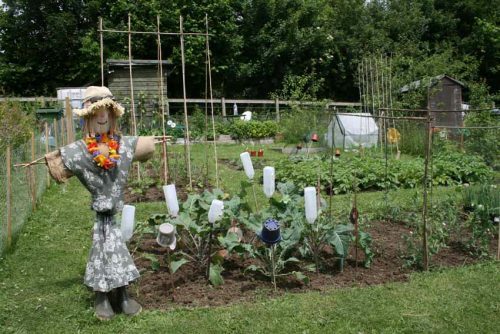 Their allotments at Waterside Road , Hague Bar, (off the B6101) on the outskirts of the town, will be open to the public on Sunday July 16th, from 11 till 4pm with plot holders on hand to show off their growing skills and talk to would-be allotmenteers about their organic produce. 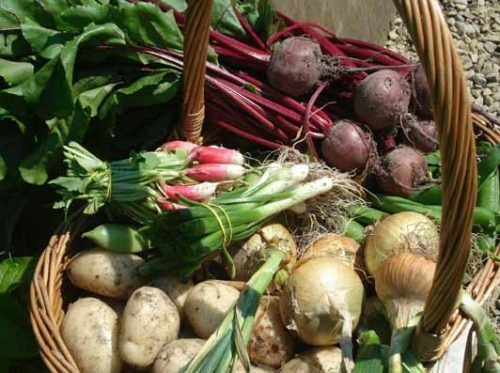 The members will be showing how well produce can be grown on a small plot which costs only £30 a year to rent. The Hague Bar allotments are on a wonderful sunny site and are one of two sites in the town – the other is on Ollersett Avenue. There are 26 very varied plots, most of which are under quite intense cultivation, and a large polytunnel which is ideal for germinating and establishing plants, as well as growing vegetables such as tomatoes and chillies. The land used to be a paddock on a sunny south-facing hillside overlooking the river Goyt and across the valley towards Disley. 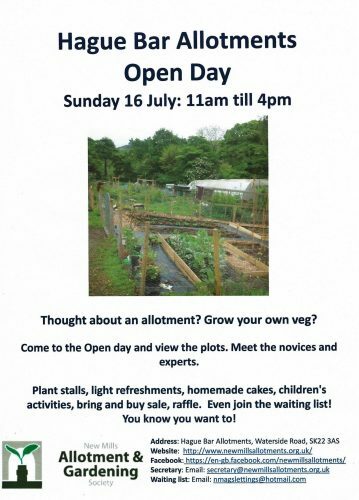 Our Open Day is an ideal opportunity for potential new members to come and see for themselves how they can cut their food bills by growing their own fruit and vegetables, keep themselves fitter and enjoy the allotment environment. The event will include stalls selling refreshments and cakes, plants, produce, gardening books and cooking items, and a raffle. Children will be able to take part in a special quiz and a name that veg competition, and play on the recently refurbished playground adjacent to the site. Some car parking will be available in the adjacent car park, but this is likely to be limited. Local visitors are encouraged to walk through the Torrs Riverside Park and Nature Reserve to visit the allotments, if possible.